Wednesday again all ready and this is a late entry I know. First up is Workshop manager the one and only Bob Cross. I say workshop manager but there isn’t a lot Bob doesn’t get involved in and that also includes days out on the road still moving the big stuff about. Bob always carries a broom with him that can usually be found inside his person, but today he’s put the broom down for a few hours while he delivered this 4.25m wide, 4.80m high 29 ton reeler to Felixstowe. Boys load. 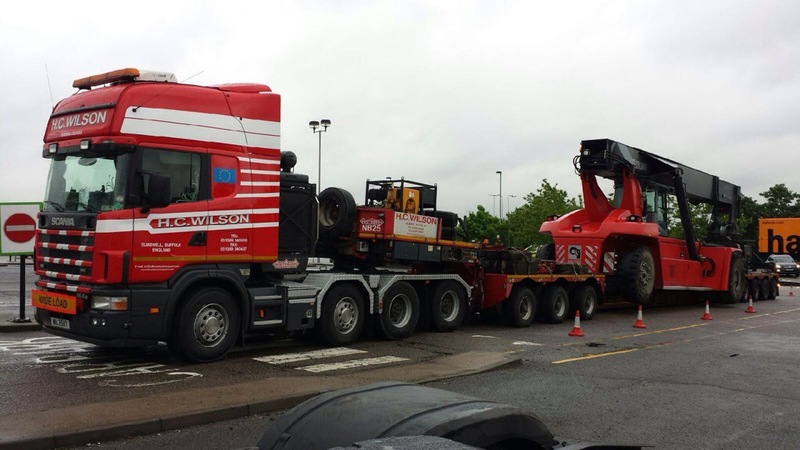 SW02 HCW is a 150 tonner 8×4 Scania that these days is a spare. With a number of 8×4’s on the road it pays to keep a reliable V8 in the yard for as and when it’s required. 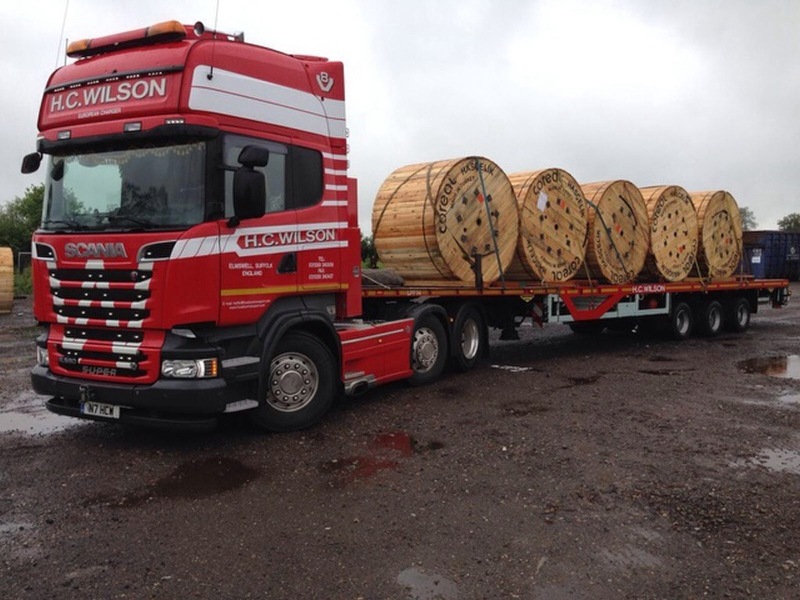 Next we have show favourite Mick Farrow heading for Liverpool with his big 250,000kg GVW Scania loaded with a reach stacker weighing in at approx 125,000kg GVW. A big old load, I’m sure it got a bit snug at some point today. 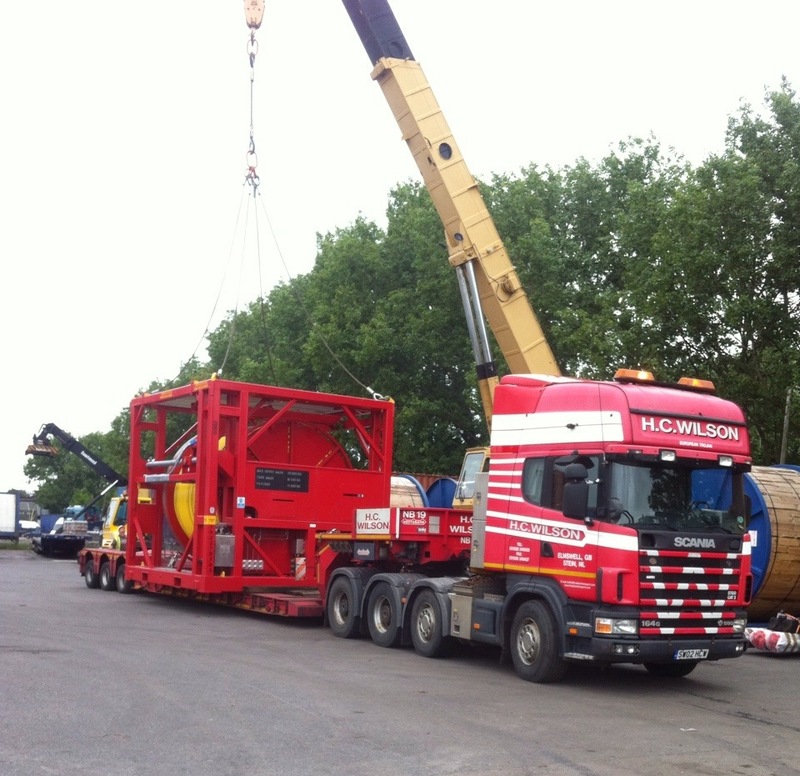 Doris DAF was today in Germany loading crane parts for the UK with driver Slim. 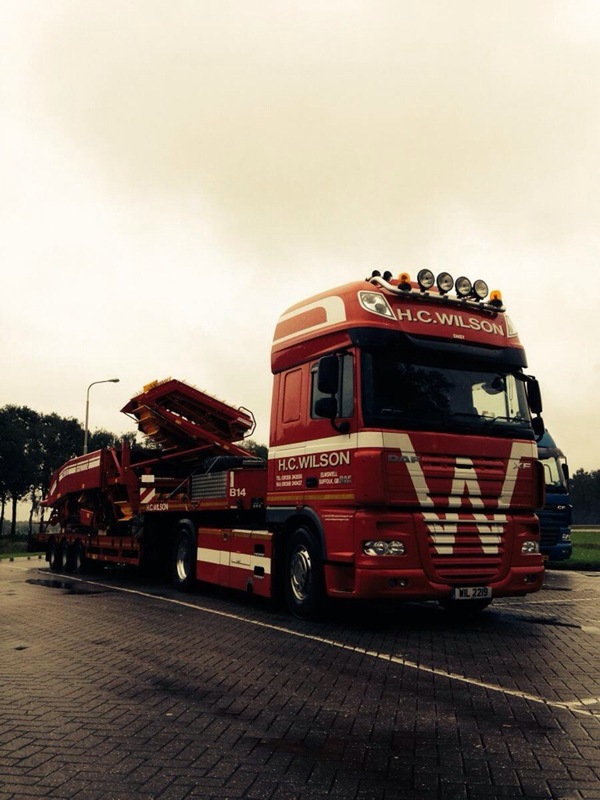 This pair are Wilson Wednesday regulars, the big DAF is a regular on runs backwards and forwards to the continent. 2nd DAF on the fleet is the delightful Daisy, this week back at work with regular good looking driver Geoffrey Tarbun. From what I can work out Geoff could be adopting a one week on one week off rota but I could be wrong! Anyway here she is resting (again) on her way to the ferry from the Netherlands back to the UK with an agricultural machine for this years harvests. Last one this week is European Charger that has charged up to Nuneaton today to tip an easy load of drums. 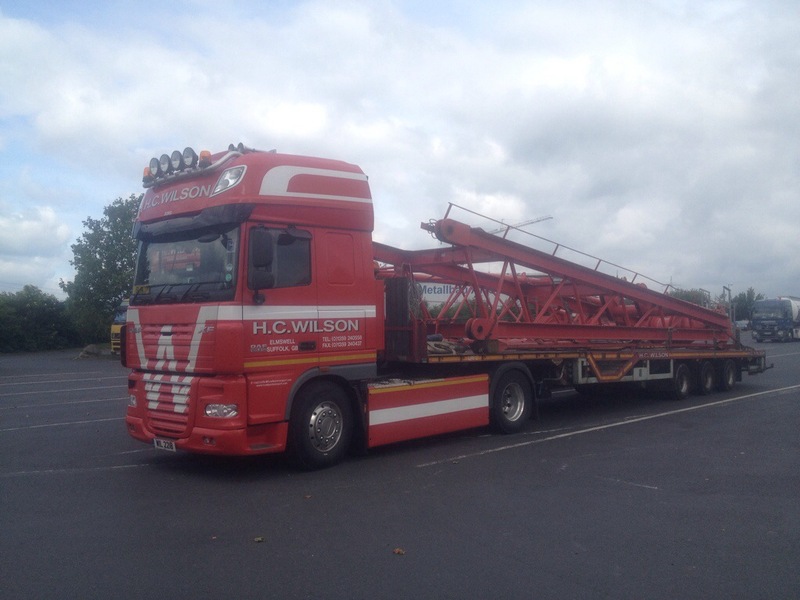 A nice little load for driver Geordie. Dig the crane in the first HCW image! Great trucks and pictures, thanks!